A beautiful place with simple and sober appearing rooms. 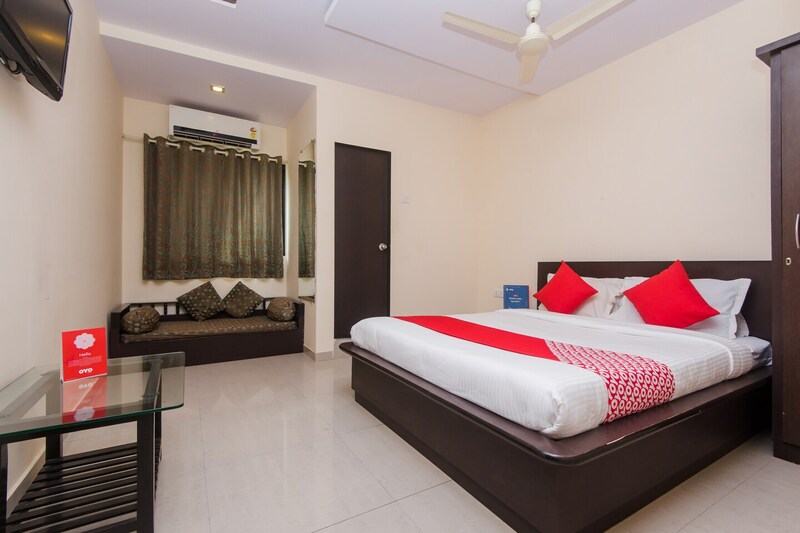 Farmhouse Residency is an attractive place to stay at when travellers are visiting Mumbai. The bedrooms at the hotel have light coloured walls and dark wood furnishings, keeping the ambience of the place light and bright. The minimalistic room feels soothing and peaceful for the guests. A low sofa makes for the extra seating space in the room. The hotel provides its guests with free Wi-Fi and power backup so that they may remain connected with the rest of the world. The hotel also has an in-house restaurant and a bar available for the guests to make use of. Other amenities offered by the hotel are a geyser, parking facility and a card payment option.